Our stay was amazing! What I really liked about this hotel is that the staffs are very friendly, approachable, and helpful (especially the chairman and the doorman). We really appreciate their kindness. 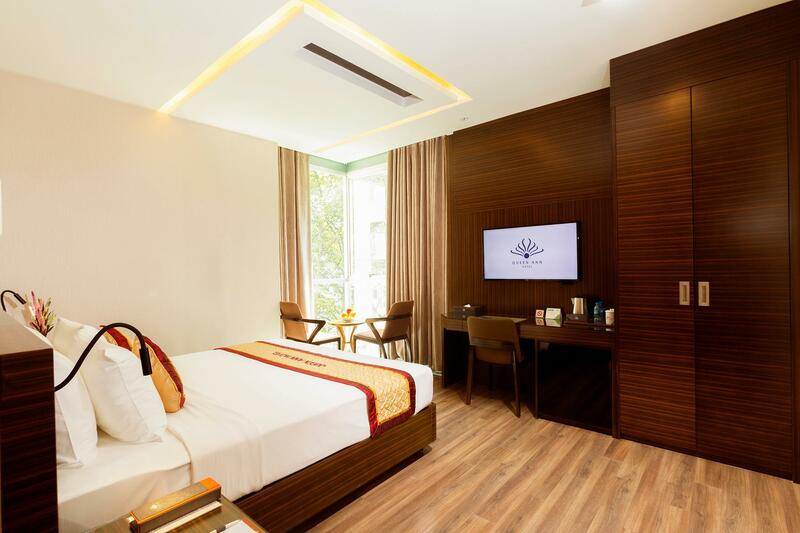 The location was also ideal - close to shopping malls like ben thanh market and saigon square. The food is also greeeeat and the rooms are very clean. I cannot think of anything that I didn't like about this hotel! Polite staff, near to attractions and shopping area. This is my first time in Vietnam, i can say that it's an enjoyable experience. Although i came for business meeting, i can't help to venture and explore the attraction, foods and shopping area here. Overall it's a satisfying experience. This hotel is good for stay. It's room very clean and comfortable. The only problem with this hotel is quite far from ben than market,so I have to walk about 800m or take a taxi. But it's easy to find. With high speed internet, its make me easy to surfing the internet. Overall, the hotel condition is good. they have clean room but the hotel's staff could not speak English well.Sometimes we have some misunderstanding.Delicious breakfast.the location is near Benthan market.we can walk about 10minutes.a lot of vietnam;s food is sale along the way to market.Nice place to come again. Everything was good I didn't spend so much time at the hotel as I came to HCM for my cousin's wedding, so I don't have many comments on the hotel. Location was very good and closed to the center. I checked out very early in the morning when the staff were sleepy but they did a quick decent job. 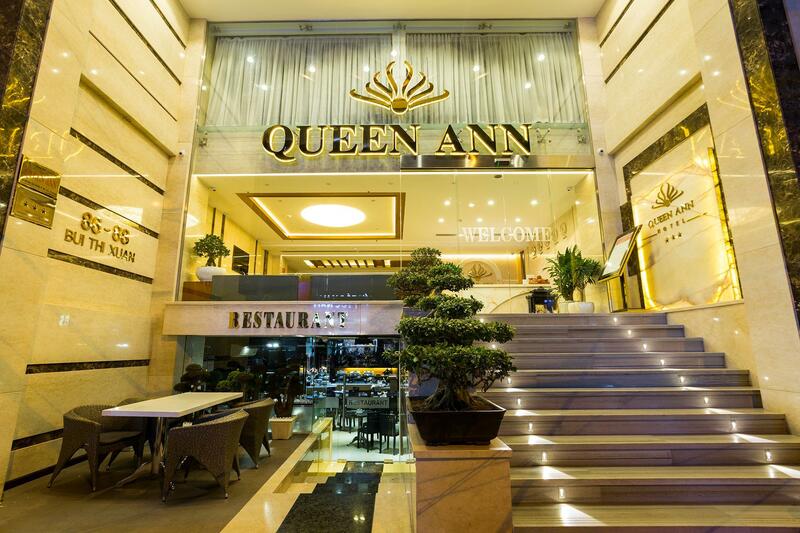 Queen Ann, a three star hotel, at 86 Bui Thu Xuan St though is in the Dist 1 area is still about 20 to 30 minutes walk to the Ben Thanh market area, one of the main attractions. Not advisable to walk due to the complicated heavy traffic system of vehicles and motor-cyclist which follows no safety rules. Taxis is cheap and cost about $2 on the meter.. However, Queen Ann has nice, comfortable, reasonable size rooms which are cleaned every day. The staff is very friendly and all comes with a smile. They are especially helpful in providing information on places of interests, translation services and even make local calls for you as most vietnamese do not speak or understand english. The buffet breakfast (free) is superb with its good choice variety of western and vietnamese food and fruits. It has a counter of eggs cook to your liking too. Menu changes slightly each day and the coffee is very good. 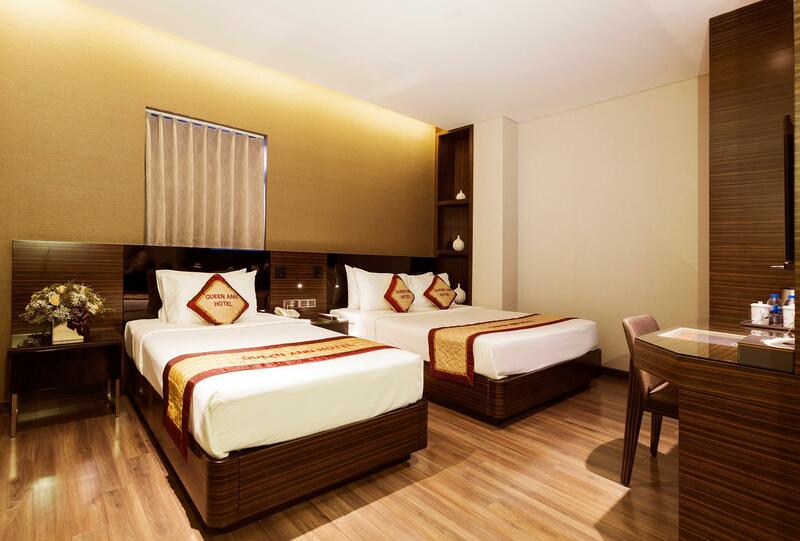 For the price about $30 it is good choice..
everytime i came to viet nam , i always stay in this hotel. 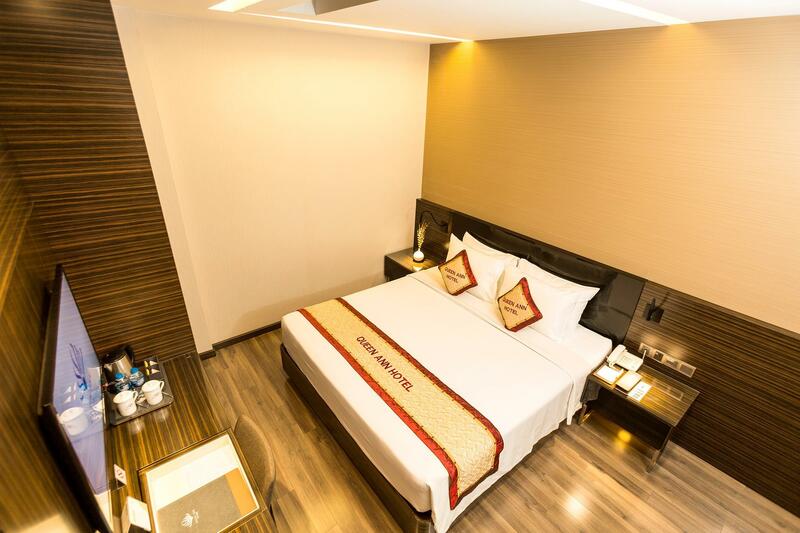 staff are friendly and helpfull, room is clean , price is reasonable. location is good close to restaurance and night club. at night is very secured. would recommended to other traveller.